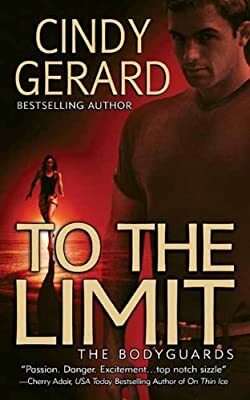 Author: Gerard, Cindy Set In . . . When former Secret Service agent Eve Garrett, gets a late night call from Tiffany Clayborne saying "Eve, please come and get me" she books over the the bar Tiffany says she's at. She met the girl when she was still an agent. Tiffany was her first assignment and she developed a big sister attachment to the kid that continues to this day. However, when Eve gets to the bar she sees some suspicious activity in a dark alley and her gut tells her that Tiffany is involved. When she goes after her, she's knocked out and when she comes to, Tiffany is gone. Eve believes that Tiffany is in danger. But when she goes to Tiffany's father, he doesn't want Eve anywhere near Tiffany. After all she was in charge the last time Tiffany got hurt. Eve and Tiffany have put that incident behind them. Her father has not. He plans to hire his own private detective to check into this.doesn't hesitate. Eve doesn't trust Tiffany's safety to anyone else and decides to hunt fo her on her own. However, uring her search in Miami, Florida she runs into Clayborne's detective--her old flame, Mac, who loved her and left her. He's the last person she wants to see, especially on this case. However, when several attempts are made on Eve's life, Mac decides that they should stick together. And the closer they get to Tiffany, the more deadly secrets unfold and the more the danger rises. . .